One of the things for which you almost must be an industry insider to know is the tremendous amount of efforts and resources that go into developing a new type of bracelet for a watch. While this may seem like a relatively simple task, the bracelet not only needs to fit the watch and look good but also be very comfortable to wear, on a wide variety of different wrists. On top of that do bracelets have to be able to cope with quite some stress, even with normal day-to-day activities. This means that a lot of thought, engineering and prototyping goes into making such a bracelet a reality. This gives you some idea of what Richard Mille had to go through when creating the new bracelet for the RM 07-01, although their journey was even more challenging, as it is made from Carbon TPT. It, therefore, may not come as a surprise that this new bracelet was 13 months under development. While the brand is commonly known for using straps, it has previously introduced two gold bracelets, an open link bracelet which can be adorned with precious stones, as well as a beautiful metal curb chain to wear the watch around the wrist on. With the new carbon TPT bracelet, it now extends the unique look of this innovative material as it goes all around the wrist, perfectly extending from the tonneau shape of the case itself. Wearing comfort was another one of Richard Mille’s focus points when developing this bracelet. 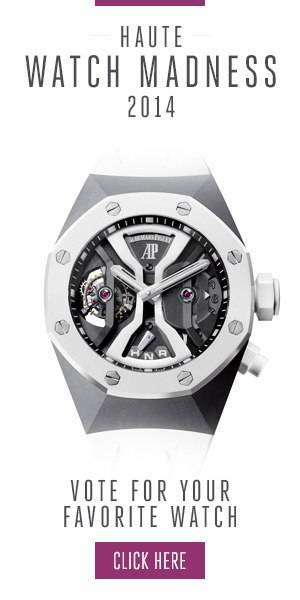 To achieve this is it, just like the RM 07-01 in Carbon TPT itself, very light. The bracelet is made out of 200 parts. The majority of them make up a flexible skeleton made from titanium, on which the Carbon TPT plates are secured by the spline screws that are so typical of Richard Mille. Thanks to this construction the entire bracelet only weighs 29 grams. Currently, the Carbon TPT bracelet is only available for the RM 07-01, but as Richard Mille always like to offer its clients more individual ways to wear their watches, we might see similar bracelets being introduced for the men’s models in the near future.